I’m sending out the latest issue of Vision—the CSF e-newsletter—later today, with a colorful story on Carl Schmitt’s stay in the enchanted city of Korčula on the Adriatic coast. There’s also more on the artist’s influence on the American poet Hart Crane, and how Schmitt’s tending his vegetable garden has inspired us here at the Foundation over the summer months. As always, Vision will feature photos and stories from the archives not seen anywhere else. If you’re not already a subscriber, you can get your copy delivered to your inbox by clicking here. You can also read past issues here. 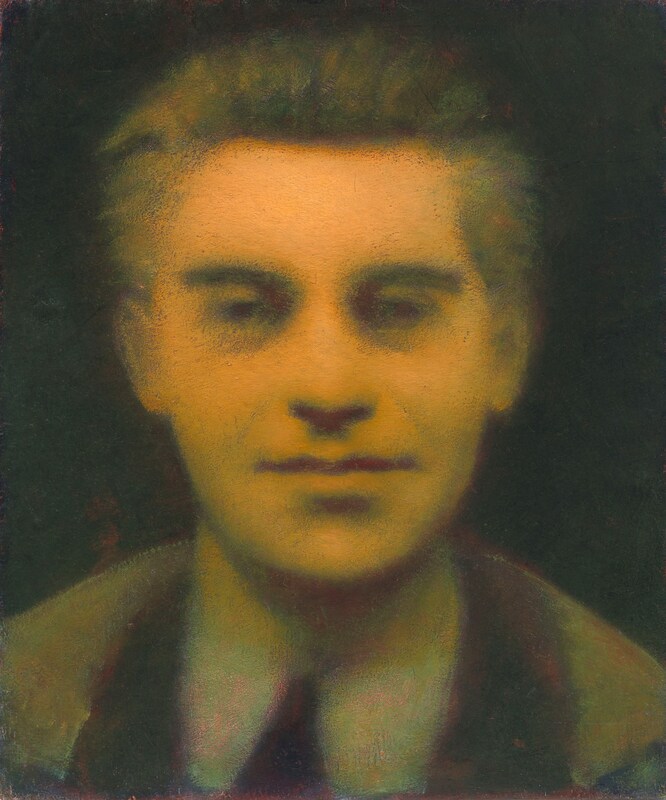 Harold Hart Crane, oil on metal support, 17½ x 14½ in. National Portrait Gallery, Smithsonian Institution, Washington, DC. 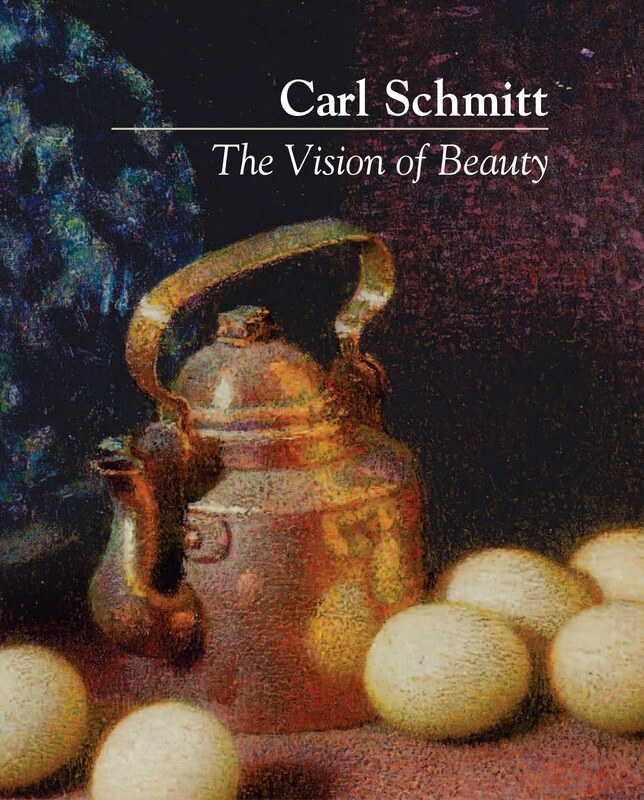 Gift of The Carl Schmitt Foundation. Painted by Schmitt in the late 1960s or early 1970s from a photograph. Crane was born in Garretsville, Ohio, in 1899, but his family had deep roots in Schmitt’s hometown of Warren. His mother Grace Hart was born in there, and it was there she returned with her husband Clarence, and their five-year-old son Harold. 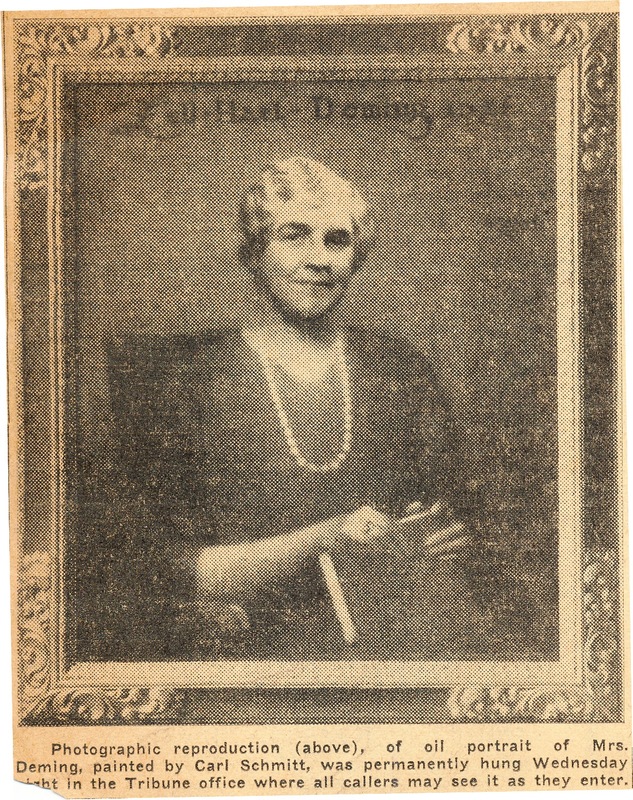 Carl Schmitt’s father, Professor Jacob Schmitt, counted Grace’s Aunt Bess among his piano pupils at Dana’s Musical Institute in Warren. 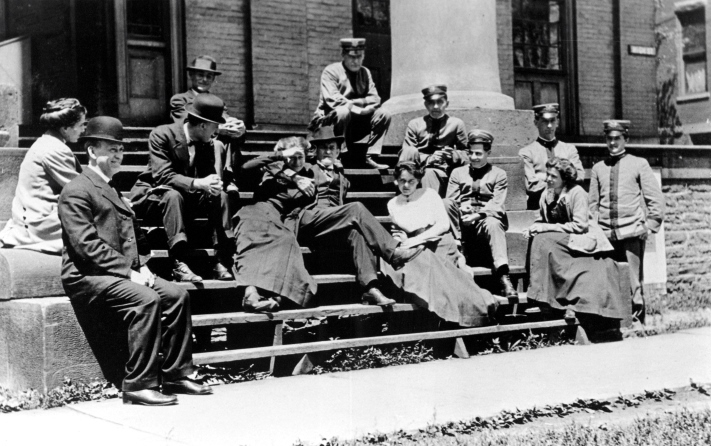 Prof. Jacob Schmitt (far left) with other faculty and students of the Dana Musical Institute, c. 1910. Another Warren connection was Zell Hart Deming, publisher of the Warren Tribune newspaper. She was the widow of Grace’s brother Frank Hart and Harold’s godmother. A generous patron of the arts, she had helped Carl with his education, first in New York and later in Europe. Through the pages of her newspaper she did everything she could to further the career of the young painter through exhibition notices, flattering reviews and “local boy made good” chronicles of his triumphs in the art capitals of the country. After Crane’s family moved from Warren to Cleveland in 1909, they maintained close ties with family in their former home. Schmitt, ten years older than Hart Crane, probably did not get to know the shy teenager until the summer of 1915. The artist was fresh from his studies in Italy, back in Warren fulfilling some portrait commissions. By November 1916, Schmitt had returned to New York, taking a studio apartment in Stuyvesant Square. Crane’s first letter to Schmitt around this time glows with a warm familiarity. “Someday, perhaps next summer, I shall come to you and we will work together,” he wrote wistfully. But the young poet was enduring one of the most trying periods of his short life. His matter-of-fact report of the breakup of his parent’s marriage disguises both his bitterness towards his father and his overwhelming desire to get away from his boyhood home. 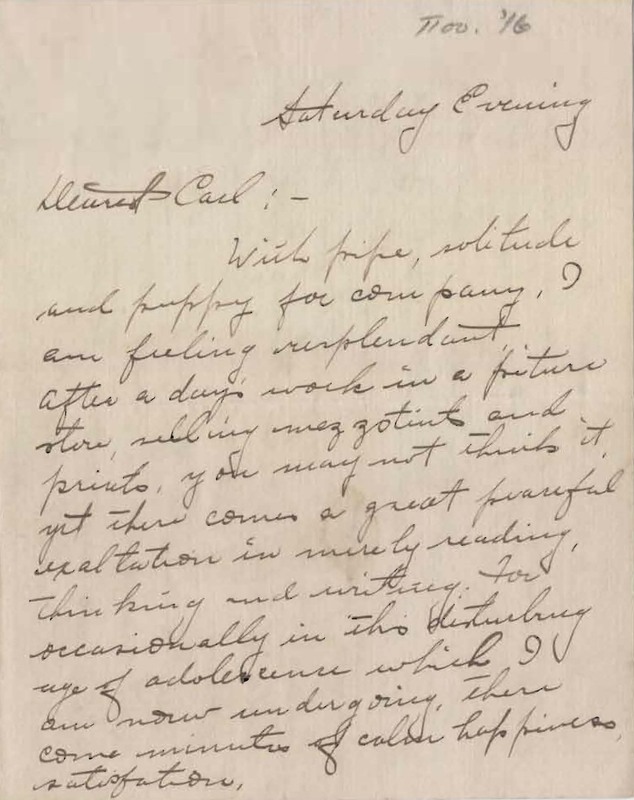 Crane’s first letter to Schmitt, probably November, 1916, in the Carl Schmitt Foundation archives. The date on the letter is in the hand of Crane’s first biographer, Philip Horton, to whom Schmitt lent his letters from Crane in the 1930s. With pipe, solitude and puppy for company, I am feeling resplendent. After a day’s work in a picture store, selling mezzotints and prints, you may not think it, yet there comes a great peaceful exaltation in merely reading, thinking and writing. For occasionally in this disturbing age of adolescence which I am now undergoing, there come minutes of calm happiness, satisfaction. I don’t know whether or not I informed you in my last letter, of the step mother and I have taken. Next week mother files her petition in court for her divorce from father. In this I am supporting her. So the first thing to do was to secure some employment. Your poet is now become a salesman, and (it might be worse) a job at selling pictures at Korner and Wood has been accepted. I have had tremendous struggles, but out of the travail, I think, must come advancement. Working evenings will give me a little time for composing. And even should it not, I have been christened, I think, and am more or less contented with anything. Carl, I feel a great peace; my inner life has balanced as I expected, the other side of the scale. Thank God, I am young! I have the confidence and will to make fate. Someday, perhaps next summer, I shall come to you and we will work together. You understand, I know. A few weeks later things had taken a turn for the worse: “Harold a nervous wreck. He needs to get away.” By the end of the month the decision had been made. Hart Crane was to live in New York, with Carl Schmitt as friend, tutor, and guardian. 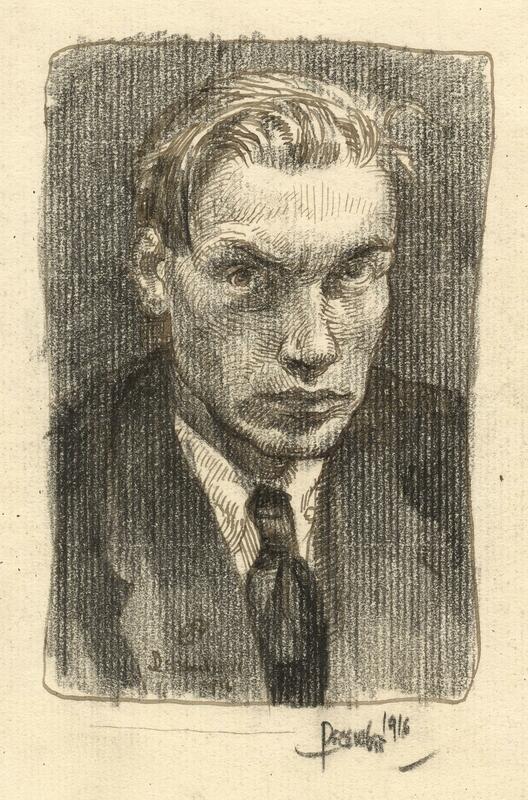 Self-Portrait, charcoal on paper, December 1916. A work done around the time Schmitt met Crane in New York.